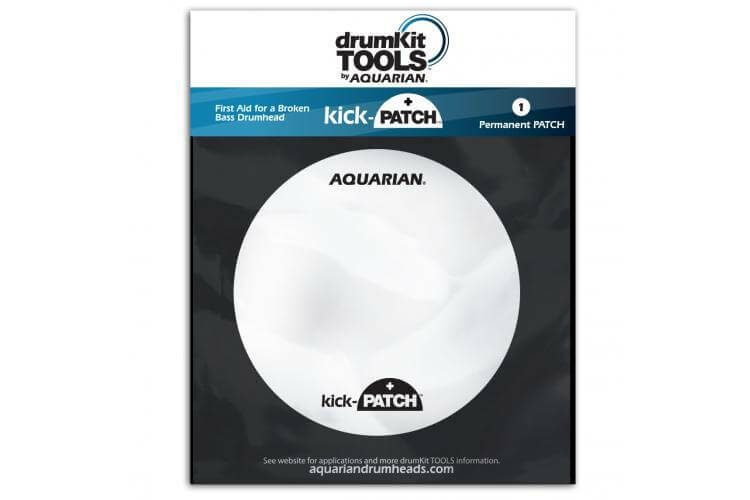 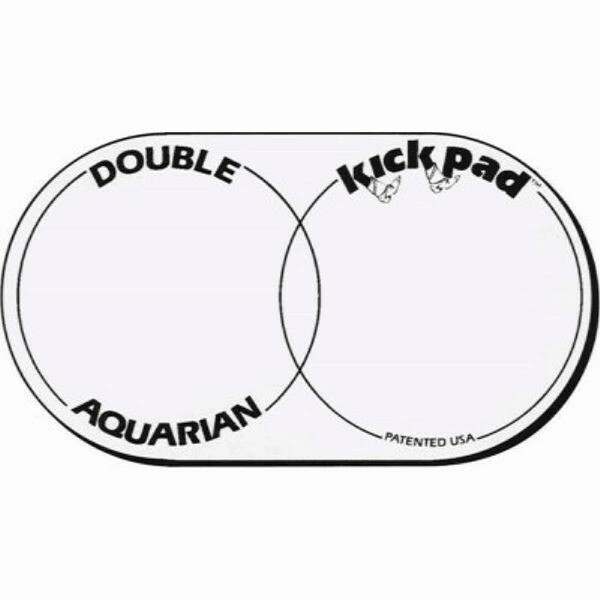 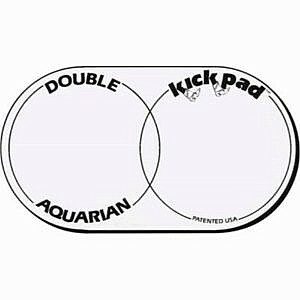 What we say: The Aquarian Double Kick Pad will add durability to your bass drum head and increase the overall attack of the sound. 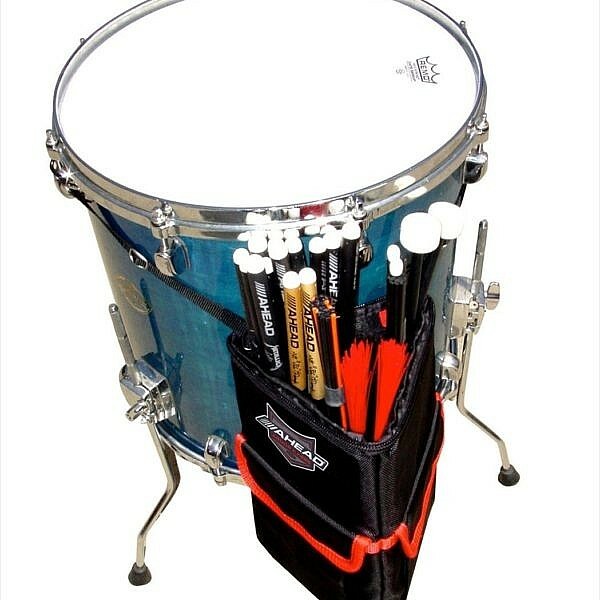 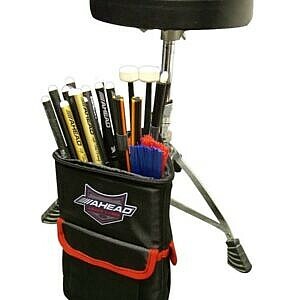 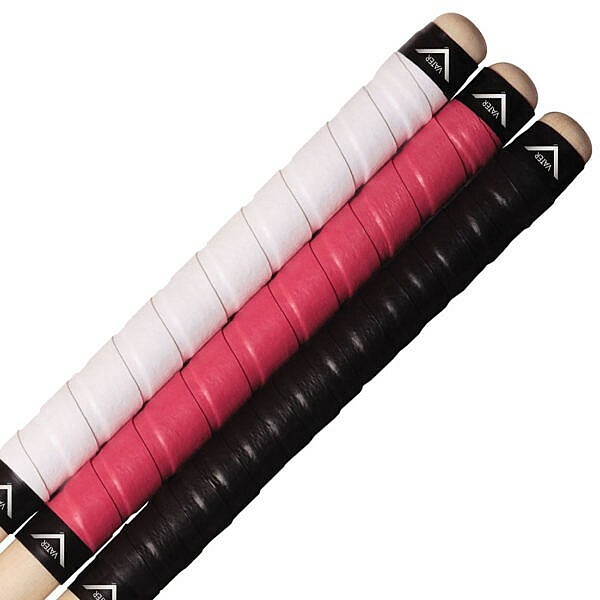 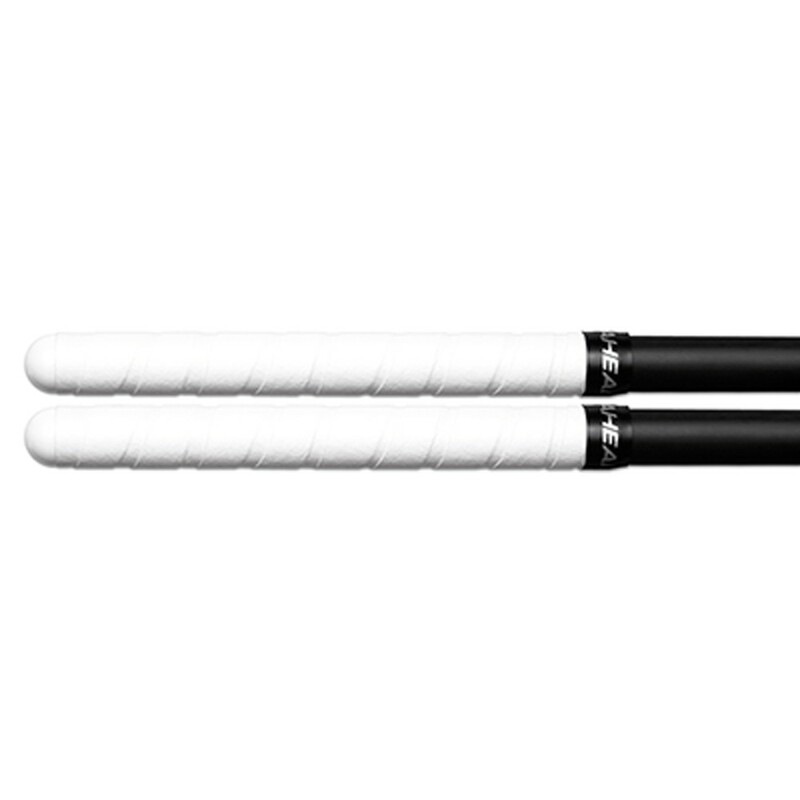 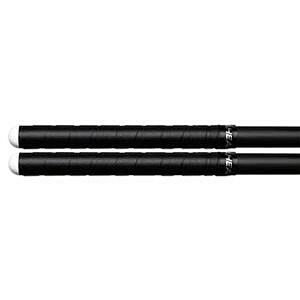 The pads are strong but flexible so don’t feel unnatural against your bass drum beater. 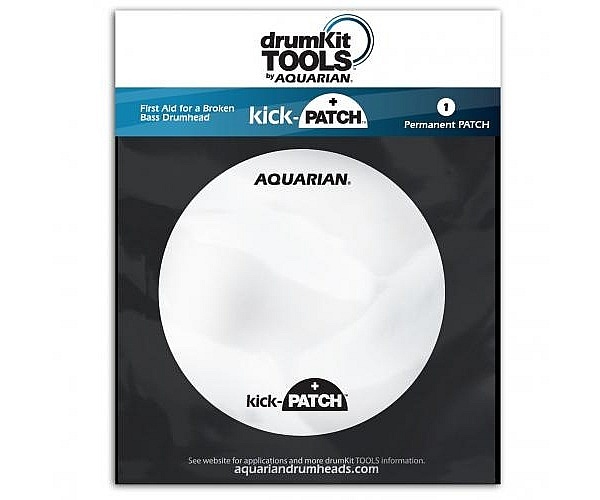 What we say: kick-PATCHes should be a must-have for a drummer’s spares kit – potentially a life saver at a gig. 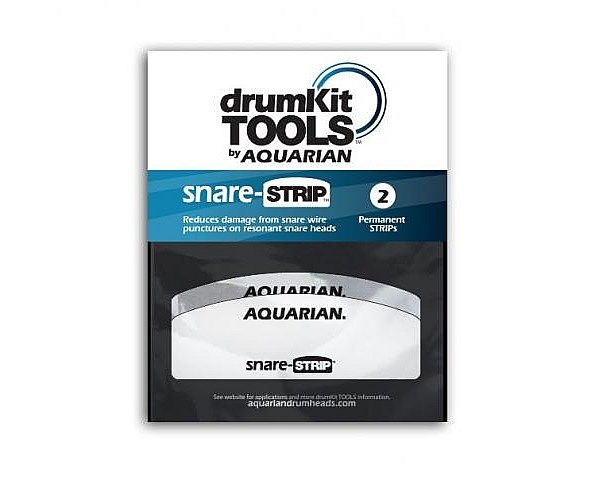 What we say: snare-STRIPS can be a total life-saver in pro-longing your bottom snare head life. 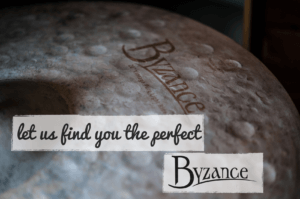 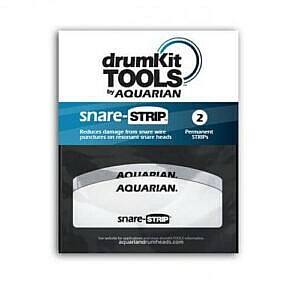 They tame the tone just enough to leave you with a focussed snare sound. 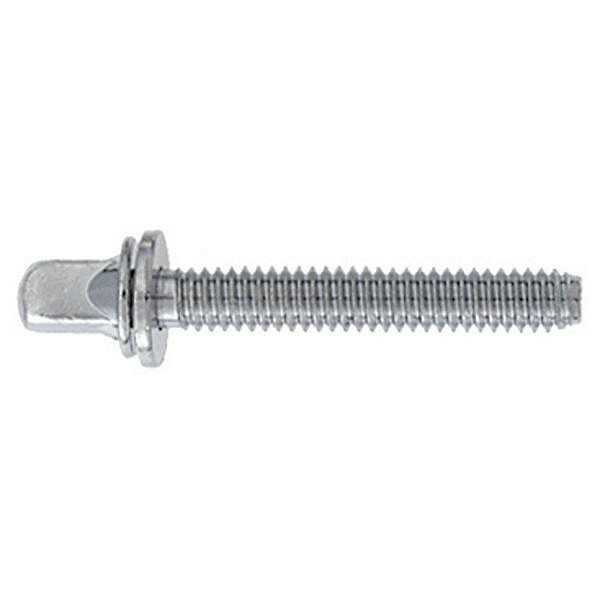 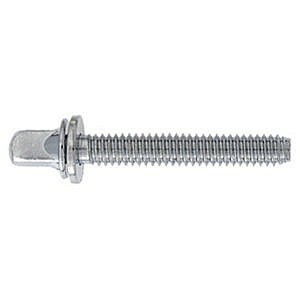 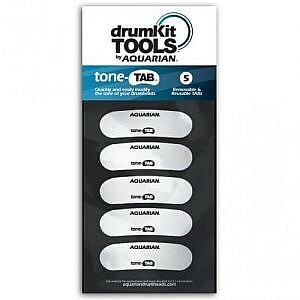 What we say: t-TABS are a cleaner, neater and more durable way of controlling drum sustain compared to traditional gel. 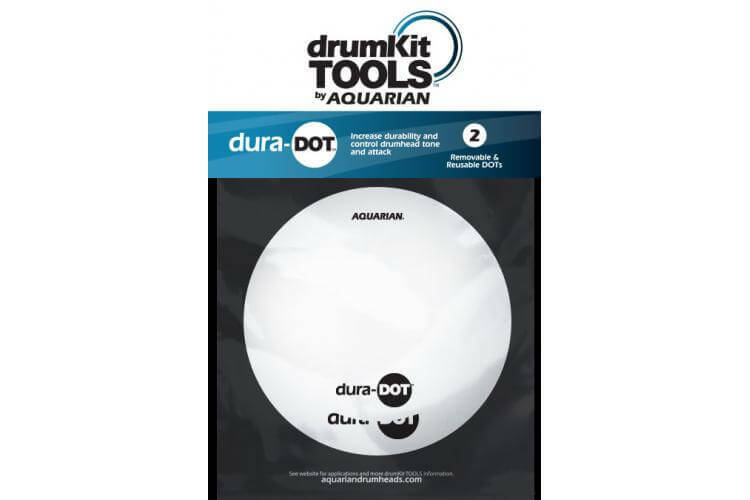 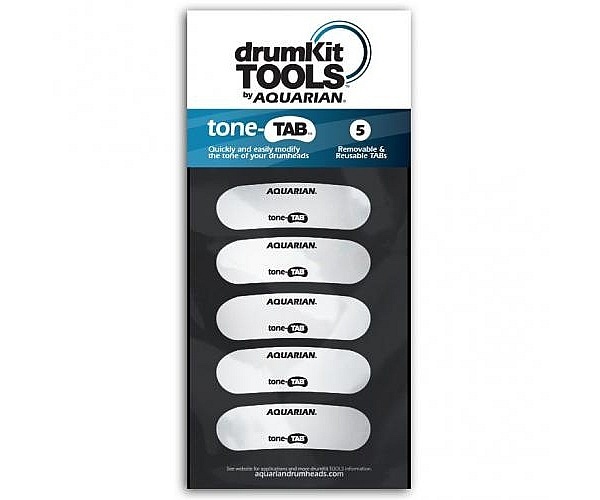 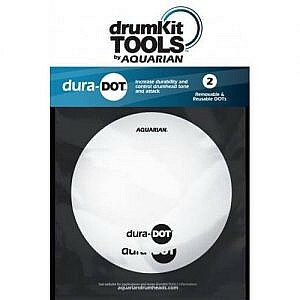 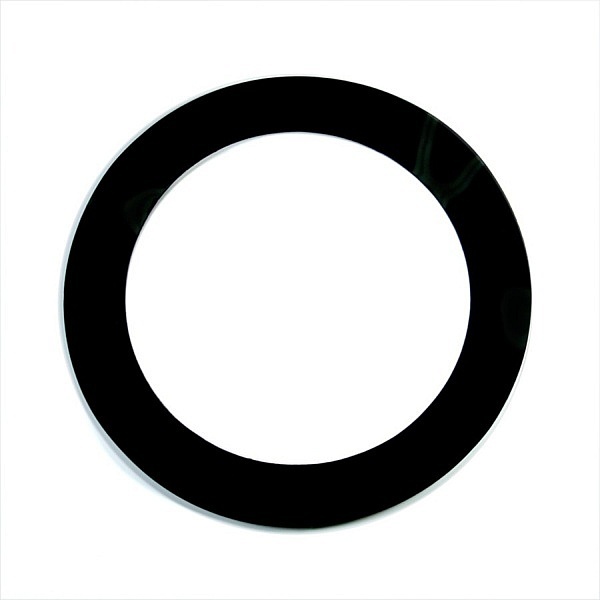 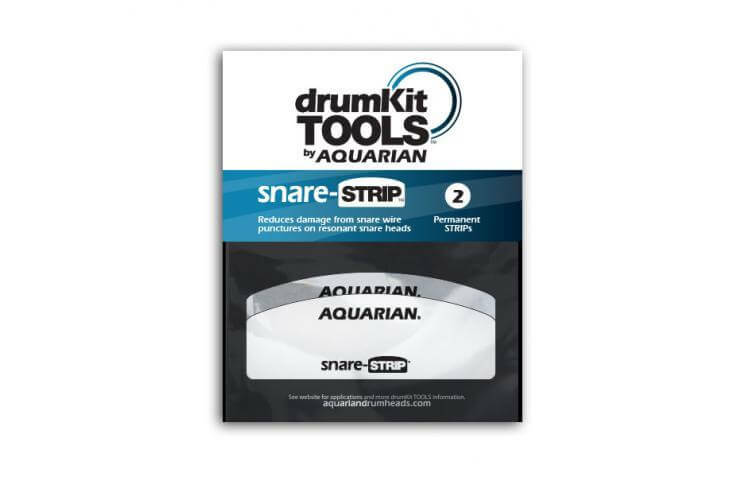 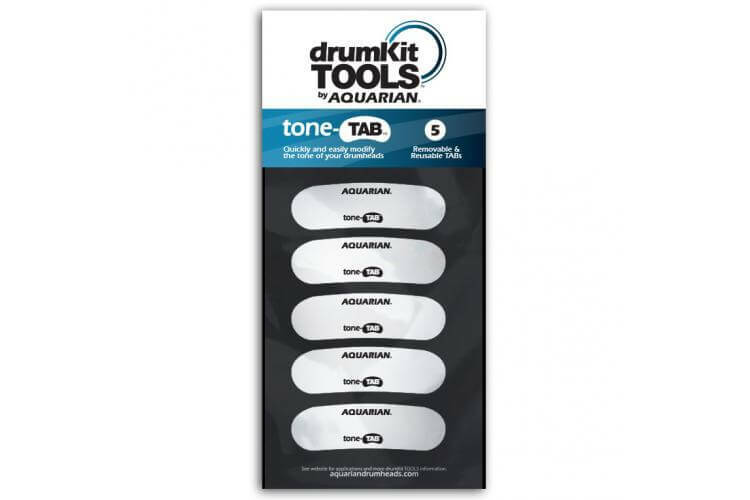 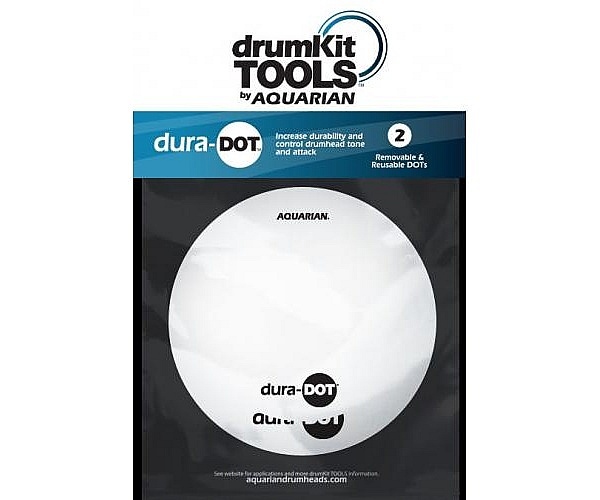 What we say: The Aquarian Port-Hole provides a cutting template for a 5″ hole in your front bass drum head, and keeps the port enforced and looking neat and tidy. 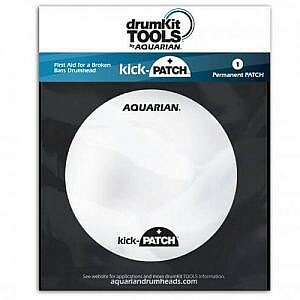 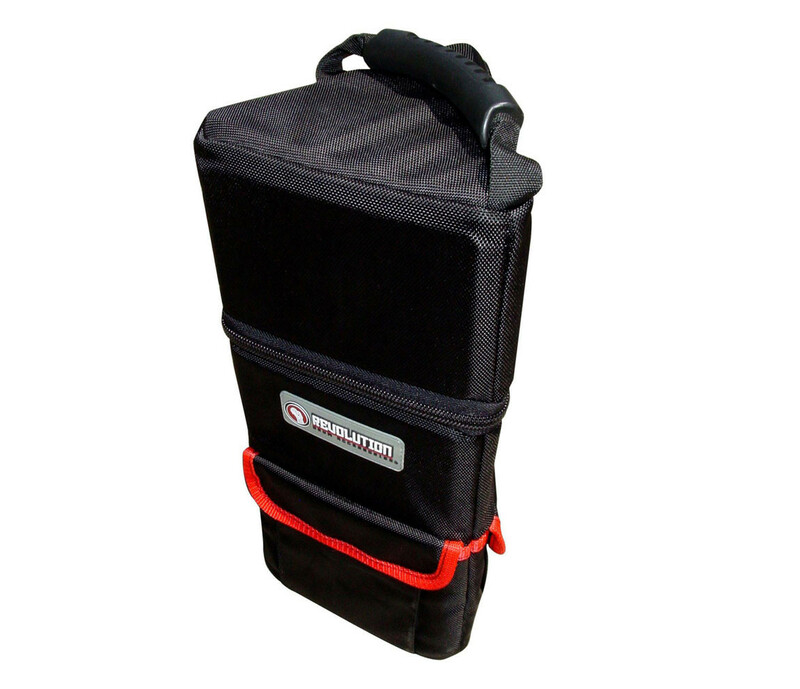 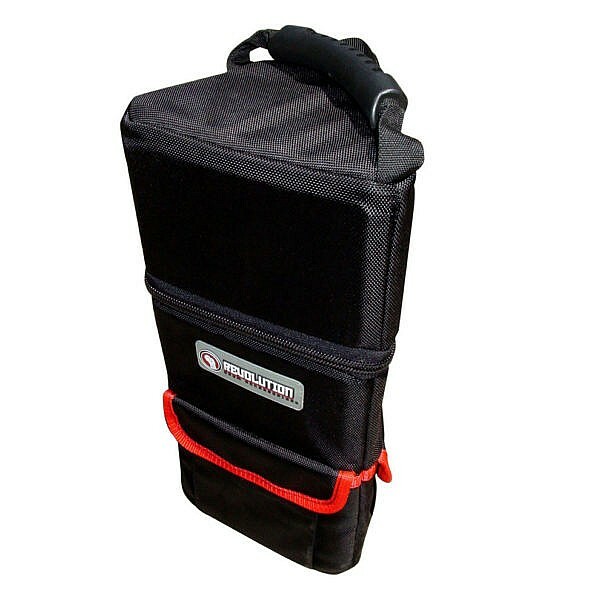 Ideal for increasing the punch from your bass drum and providing different mic’ing options live and in studio. 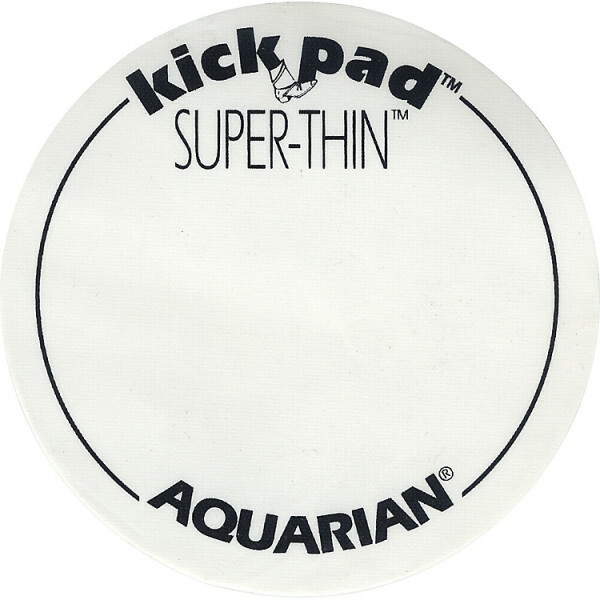 What we say: The Aquarian Kick Pad will add extra life to your bass drum head as well as a slightly more intense attack sound on impact. 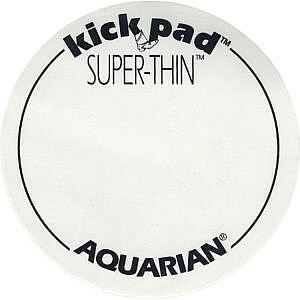 These super-thin pads give a very natural feel against the beater.